Embark on an unforgettable rail odyssey on the most luxurious train in the world. Exciting routes include the acclaimed 14-day Dar es Salaam journey through South Africa, Botswana, Zimbabwe, Zambia and Tanzania; the scenic 3-day trip between Cape Town and Pretoria (or vice versa); the 3-day safari from Pretoria to Durban, including a battlefields tour and a visit to the Big Five Nambiti Conservancy; the 9-day special to Swakopmund; the 9-day Collage between Pretoria, Durban, George and Cape Town; the 4-day meander between Pretoria and the Victoria Falls; and a 9-day Golf Safari featuring game viewing, sightseeing and ample play – including a game close to the iconic Kruger National Park. 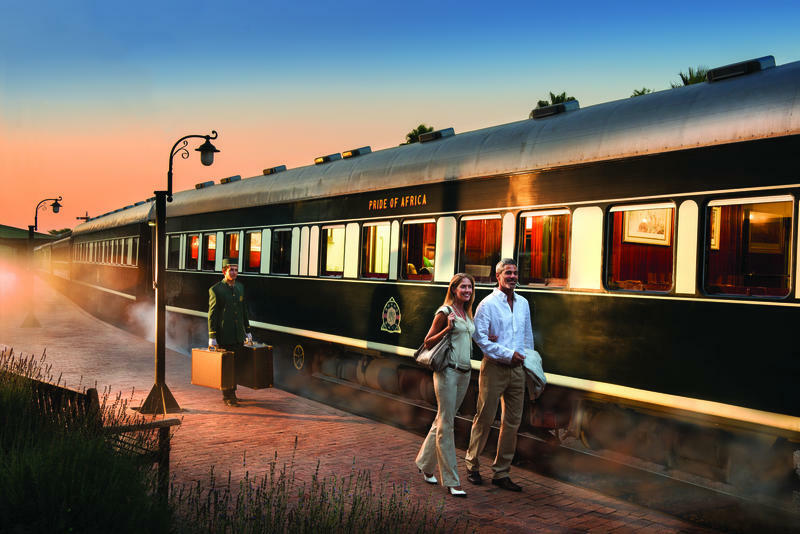 Rovos Rail’s unique train & air safaris combine some of the most magnificent scenery with the glamour of the golden age of rail travel. Royal, Deluxe and Pullman Suites offer outstanding accommodation to a maximum of 72 passengers. The train is available for charter trips, conferences or exclusive functions. There's currently no specials at Rovos Rail. Accommodation; all meals; all alcoholic and other beverages; 24-hour room service and bar facilities; limited laundry service; guided excursions (where applicable); entrance fees as per itinerary; government tax; on-board historian, doctor and hair stylist (Dar and Lobito only).